Urban Yeti is not what many people would term as a "good" game. Some might even term it "terrible", or they were being particularly cruel, "abhorrent". 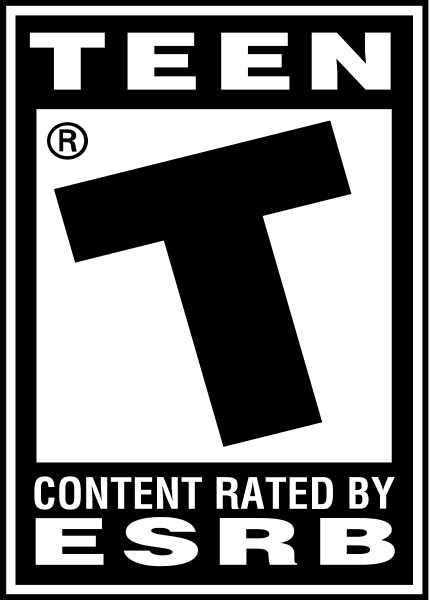 Indeed, in Japan there's a tiny niche of games known as "kusoge" ("Kuso geemu" or "crappy games"), the gaming equivalant of a C grade movie, which star celebrities only in the loosest definition of the word. At first glance, Urban Yeti might seem to fall into that category, a game that is laughable in both content and execution, made solely for the sake of its own self-deprecation. As the title succinctly explains, this game is about an urban yeti. That alone boggles the mind. It features some rather poor controls, has storyline sequences that demonstrate some particularly abominable uses of Photoshop, and overall, is something of a sloppy mess. And yet, I would go so far as to say there should be more games like it. Urban Yeti seems like the kind of game that was designed and programmed by some drunken computer science students who had nothing better to do over their spring break. Upon doing some research, the game was developed by Cavebarn Studios, a small Canadian outfit that was part of another small company named RUNANDGUN. Like many Gameboy developers, they were stuck churning out the typical licensed crap that we all know and hate, games like "Animorphs" and some game called "Wicked Surfing". 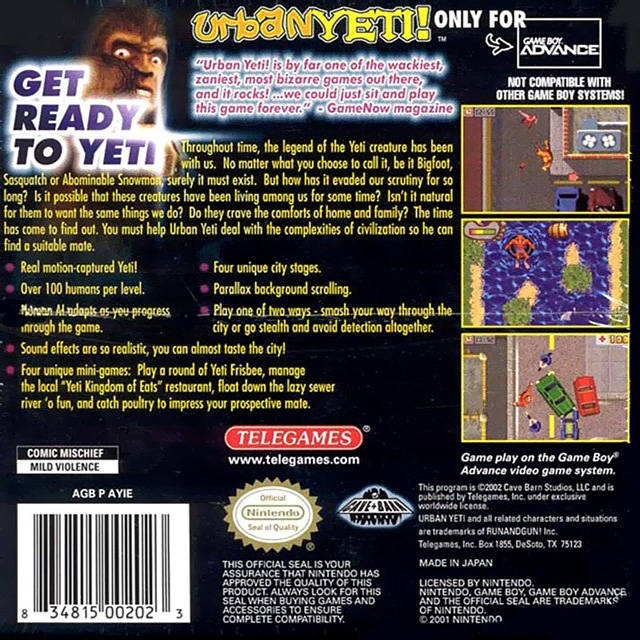 Urban Yeti was one of their few "original" games, and was funded entirely inhouse. Urban Yeti is a labor of love, and it shows. The goofy sense of humor is something that would have never flown with corporate suits and their focus groups. I can imagine Cavebarn Studios trying to sell them idea to a company like Electronic Arts, only to be met by a disheveled Larry Probst at the door, with his finger hovering over a large red button that says "Release The Hounds". Yet somehow they got a publishing deal with British game retailer Telegames, who also published anti-classics like Soccer Kid.